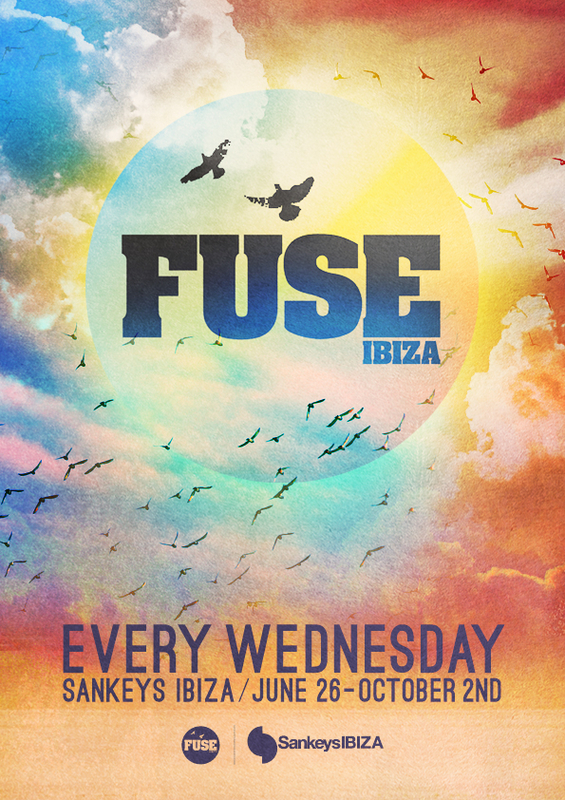 Following a string of critically acclaimed events last year, Sankeys Ibiza is excited to welcome Fuse London to take up a residency at the club on Wednesdays for season 2013. Last season saw residents Enzo Siragusa and Seb Zito, together with Fuse regular tINI whose B2B sets with Enzo were a significant highlight, bring their signature brand of stripped back, low-slung house from London to the White Isle for eight on-point events that were rated some of the club’s best of the season. A London institution running since 2008, Fuse’s weekly Sunday day parties have become the stuff of legends in recent years. With a music-first policy chiefly centered around their core group of residents playing extended sets delivered through an impeccable soundsystem, they’ve built up a dedicate following of music lovers who appreciate their emphasis on creating atmospheric rave experiences, minus the frills and hyperbole. A natural evolution of the parties, Enzo now runs the Fuse London imprint that showcases the trademark dub house sound that’s become synonymous with not just Fuse, but also the UK capital, plus and the soon-to-be-launched InFuse that’s set to issue a more groove-orientated house sound. The residency at Sankeys Ibiza will be used as prime testing ground for unreleased cuts from both labels, while the parties will stay true to their ethos of keeping their artists and residents the beating heartbeat of the events. In true Fuse, style expect extended sets from residents, all soundtracked through the club’s incredible Void soundsystem. Party? Yes. Gimmicks? Never.